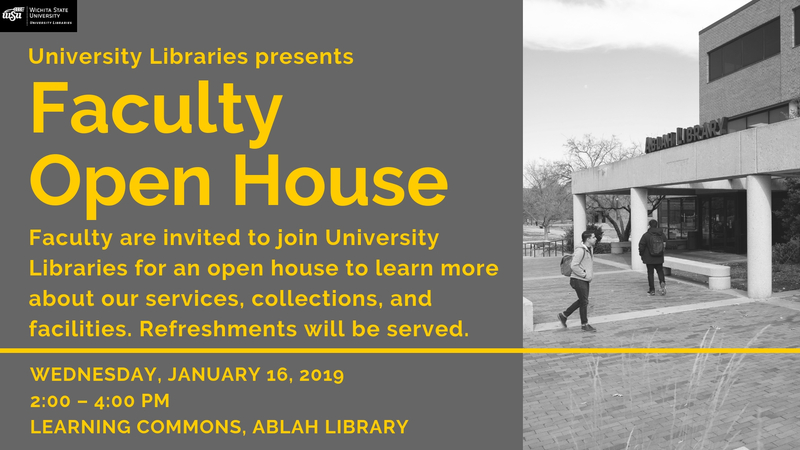 Please join the University Libraries for a faculty open house on January, 16, 2019, for a chance to learn more about our services, collections, and facilities. Refreshments will be served. Registration is not required.